Since there are a lot of rafting rapids spread over the entire region, they have been named differently for the sake of recognizing them. The names are interesting and have been coined while looking the international perspective in mind, such as- Marine Drive, Roller Coaster, Good Morning, Golf Course, Daniel’s Dip, Sweet Sixteen etc. There are tent facilities for overnight stay and the packages include all kinds of necessary equipment necessary for the sport. Not only this, all rafting adventures are held under the supervision of professional guides equipped with standard safety gears. 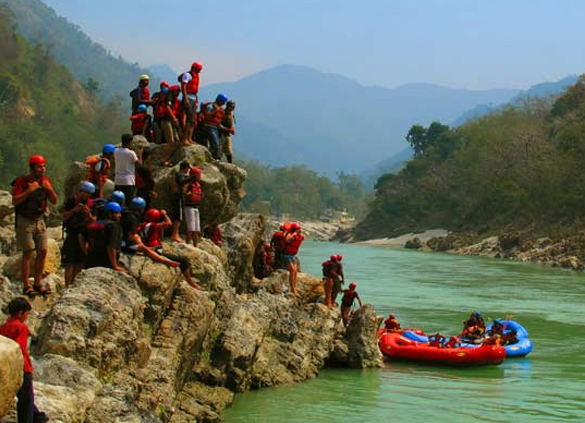 Cliff Jumping is truly a thrilling adventure activity to be enjoyed in Rishikesh. It was originated on the Hawaiian Island in1770. Cliff jumping is the milder version of base jumping. You can choose the height of cliff jumping according to your strength. But as always safety concerns should be followed religiously to have a proper jumping experience. In cliff jumping you need to climb up to the jumping platform and from here you take a plunge into the water below. The plunge is usually taken from a height of 30-40 ft above water surface. The fall time span is about 3 seconds. You will be assisted with the guidance of experts during your jump. Gearing up properly for this sport should also be taken care of. 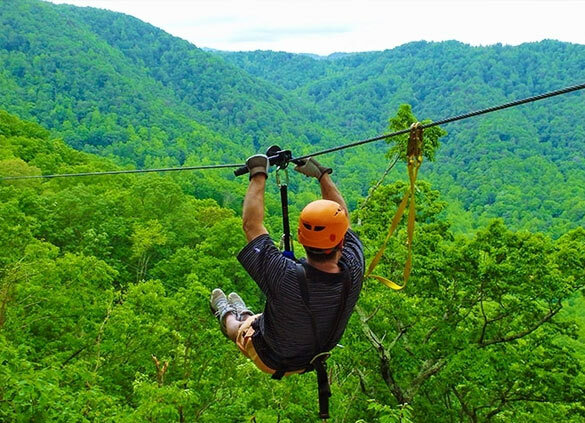 We offer Zipline Adventure Activity Package in Rishikesh, It is one of the best famous Adventure Sports in Rishikesh. Experience the first Zipline Adventure Activity over the white water of the River Ganges operated to international safety standards. You are harnessed to the wire and release by gravity roll down the wire upto 70 mtrs above the river level and then going up. Finally returning & settling down at the point. Accelerate upto speeds of 160 kmph. Feel the air gushing. You are pulled back to the launch platform by a retrieval mechanism. The zip tour is located 5Km from our resort. The entire tour takes 45-60 minutes, including safety brief, practice zip. This is really an unique adventure experience, our Rishikesh zip tour features two sensational zip lines up to 750m long you across the white water rapids at Shivpuri, with unbelievable views of the Himalayan foothills and the mighty Ganga. 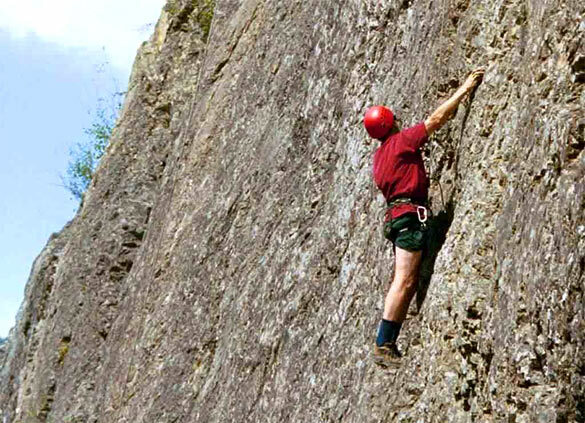 Rishikesh, the Himalayan town offersthe best options for rock climbing in India. 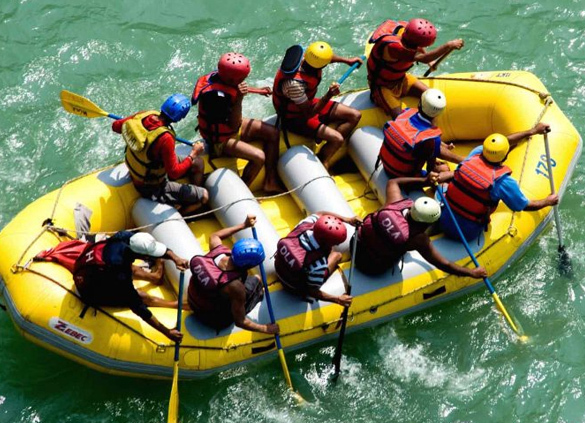 Rishikesh receives numerous tourists from around the globe to participate in rock climbing. Rock climbing is the activity for both young and adult. This adrenaline pumping activity can turn out to be real fun if done under proper guidance. This activity will challenge your stamina and body strength and let you enjoy the feeling of arrival. Before beginning climbing you can have basic introductory session by experts, which will inform you about the precautions and techniques you need to keep in mind. The Shivalik of Himalayas offers some of the best climbing cliffs. 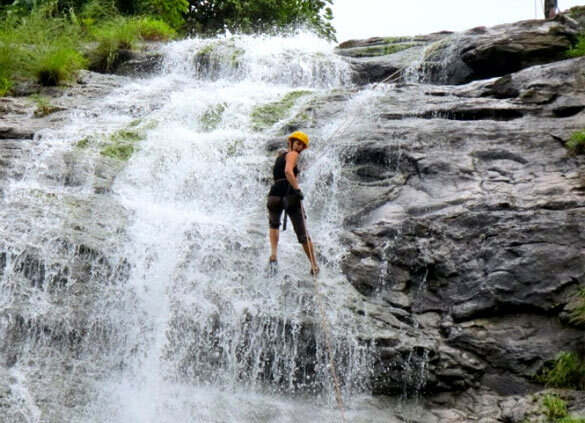 Rishikesh offers another adventure activity called rappelling. If rock climbing is ascending then rappelling is the descending activity. In rappelling you descend from a rock by totally depending on the equipment. Rappelling can be as much as fun like rock climbing if you do it with proper gear and equipment. There are many ways to rappel down a cliff. But safety should be the first concern while doing such activities. 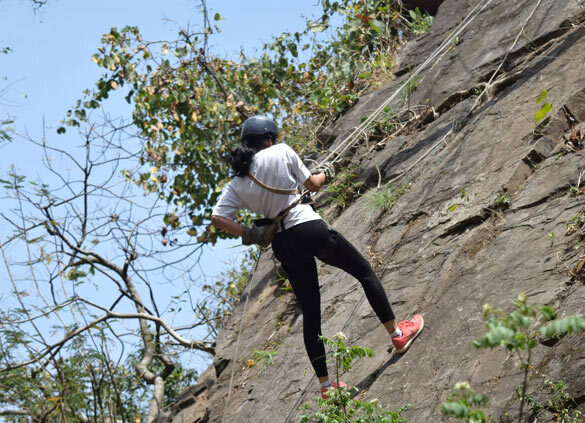 Rappelling in Rishikesh is a treat in itself. The thrill of jumping down a cliff by only tied to a rubber chord can be truly exciting activity. 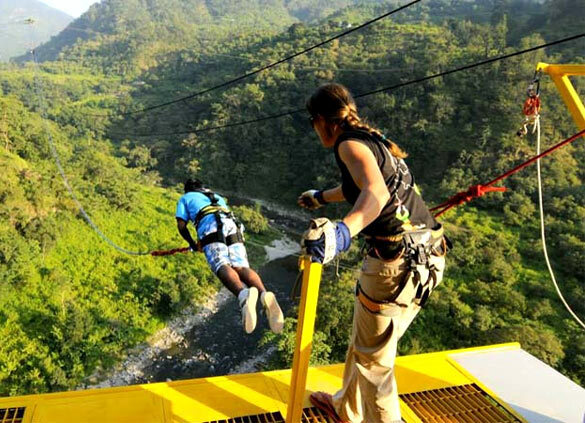 Rishikesh offers you the chance to enjoy the amazing opportunity to indulge in bungee jumping. Bungee Jumping in Rishikesh has been designed by David Allardice of New Zealand Jump Gurus fly in from New Zealand to operate the adventure activity. Bungee Jump height is 83 m. After the jump, you are lowered down to a drop zone in the river. You can then go to the cafeteria and enjoy looking at pictures or videos of your jump. You should also not forget to collect your Dare to Jump certificate. The minimum age limit to participate is 12 years. The minimum weight allowed is 35 kg and maximum 110 kg. If you love to be surrounded by beautiful natural sights then you must undertake a trek through the mountain ranges of the Himalayas. This activity also lets you to go closer the local people and their culture. The people of Uttarakhand are really nice and have warmth of love inside their hearts. The Garhwal and Kumaon regions provide wonderful treks among the bounty of nature. Trekking will let you witness snow laden peaks and heart touching sceneries and if you are lucky majestic views of sunset over the valley. There are widespread meadows, tiny villages and holy temples to feast your eyes on. 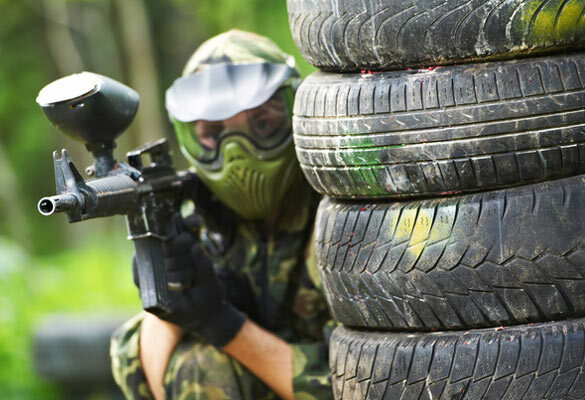 Paintball is truly an amazing sport to be enjoyed while staying in Rishikesh. This game requires team spirits and you can share this great feeling with your family, friends and colleagues. Paintball is the game where you require guts, quick decision making skills, speed of stealth and good strategy. This activity is becoming popular among youngsters and they are getting off their gaming consoles and joining this game which provide all the thrills and chills but none of the pain and aches. Paintball is the next generation adventure sport of Rishikesh.